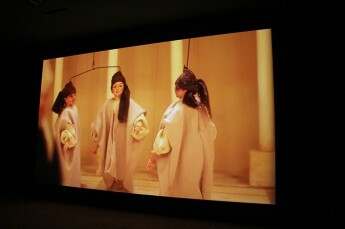 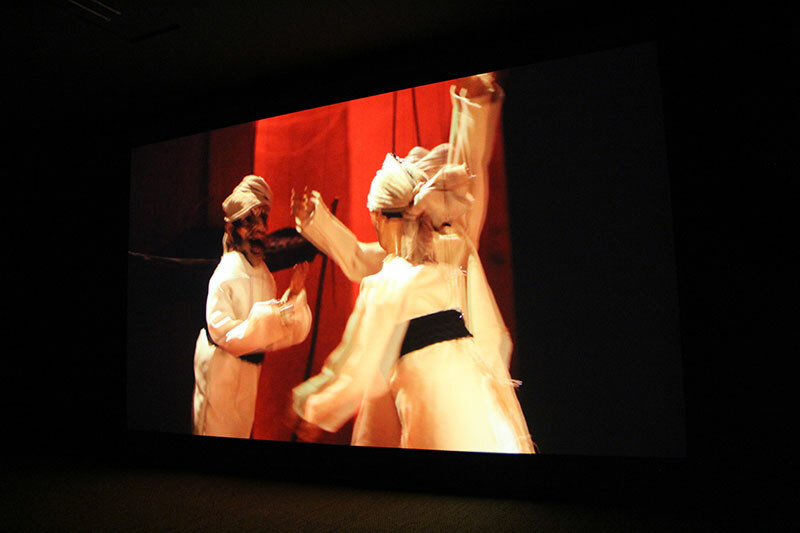 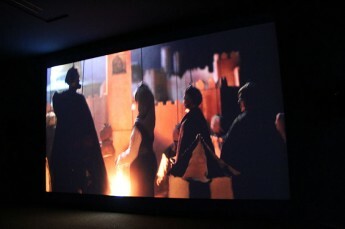 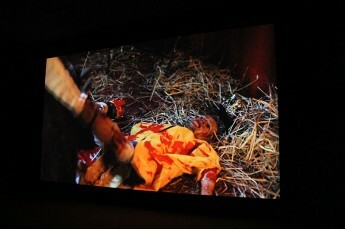 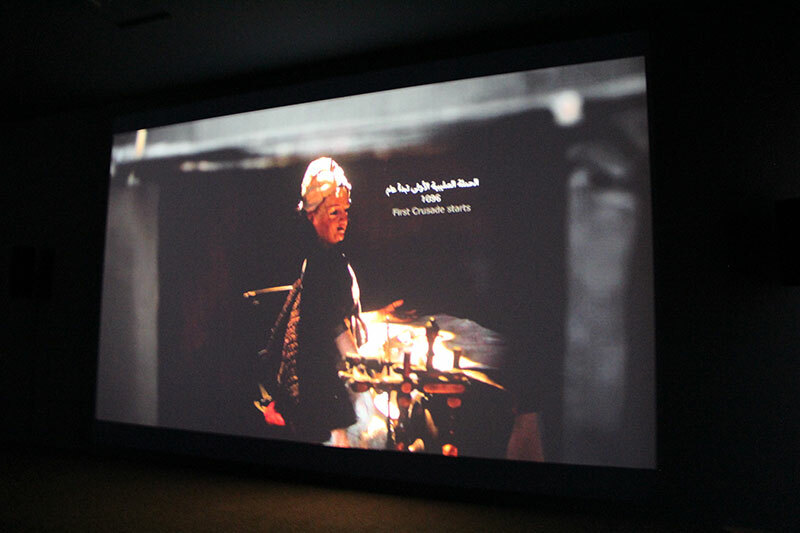 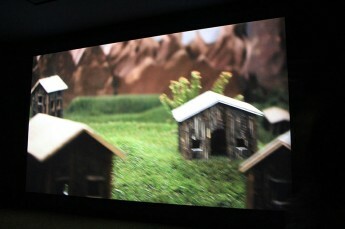 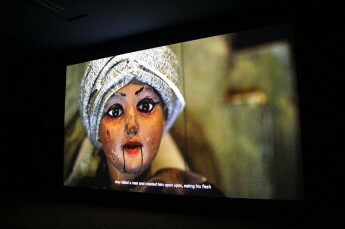 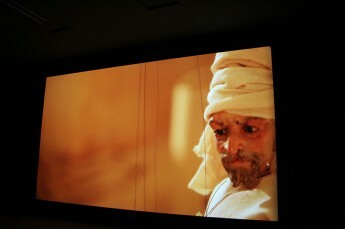 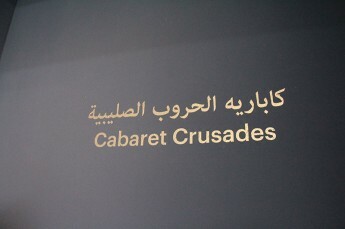 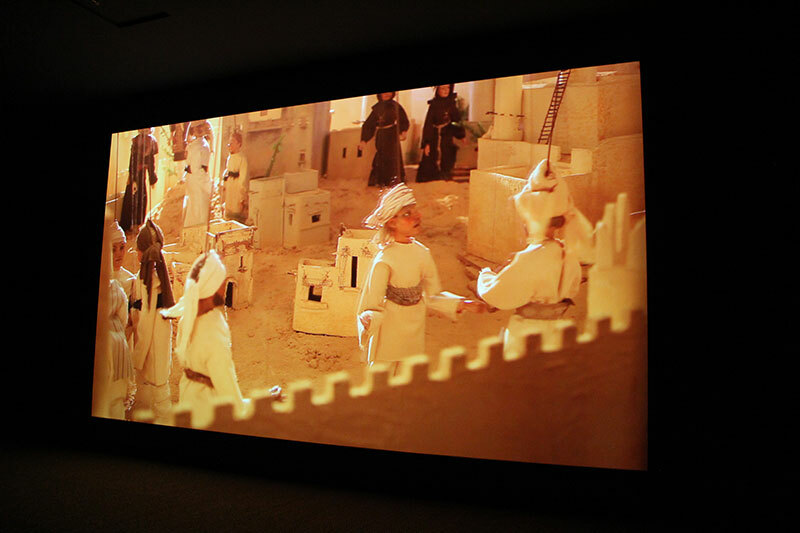 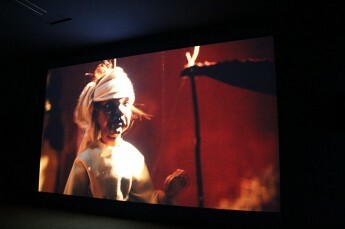 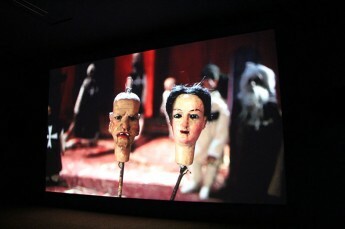 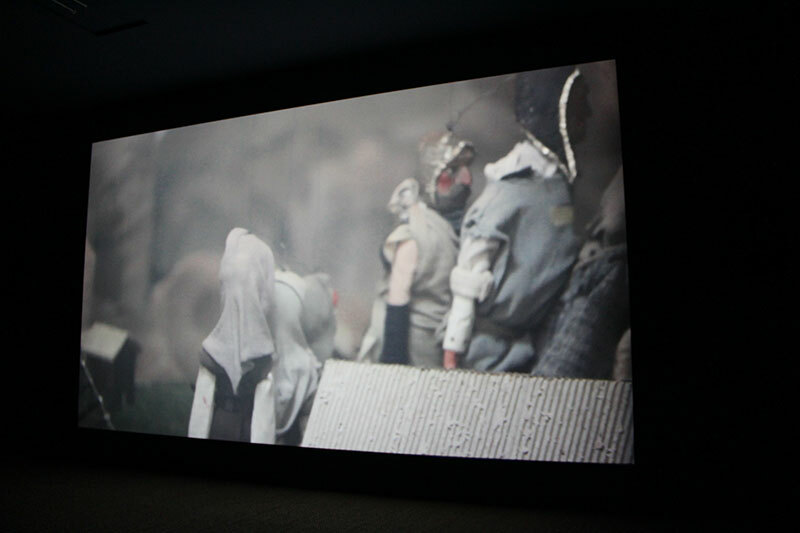 Wael Shawky’s Cabaret Crusades, The Path to Cairo is a riveting and affecting restaging of history. 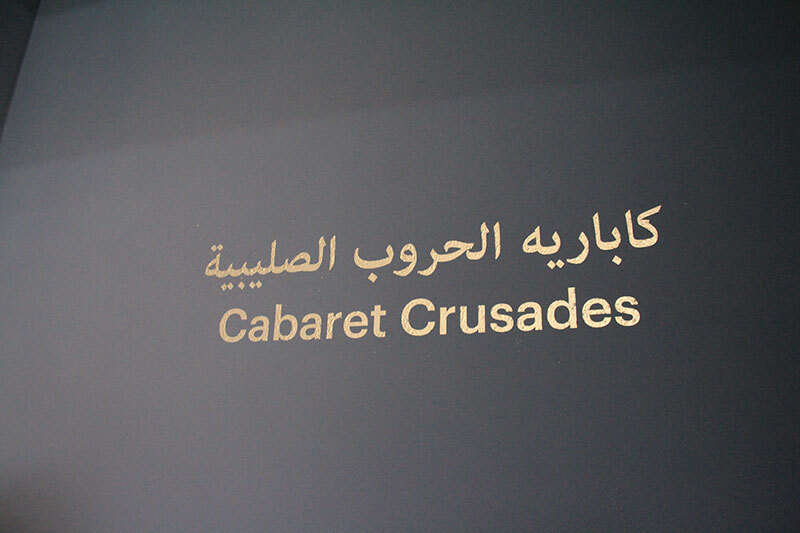 Based on Amin Maalouf’s 1983 book The Crusades through Arab Eyes, the video looks at the history of the crusades from a non-European point of view. 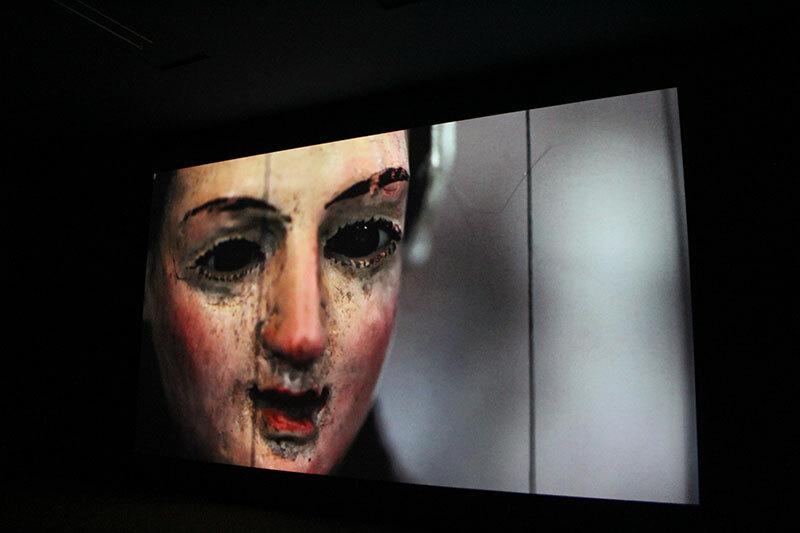 Using accounts from Arab writers at the time of the crusades and with a “cast” of 120 individually crafted ceramic puppets, Shawky effects a collision of traditions. 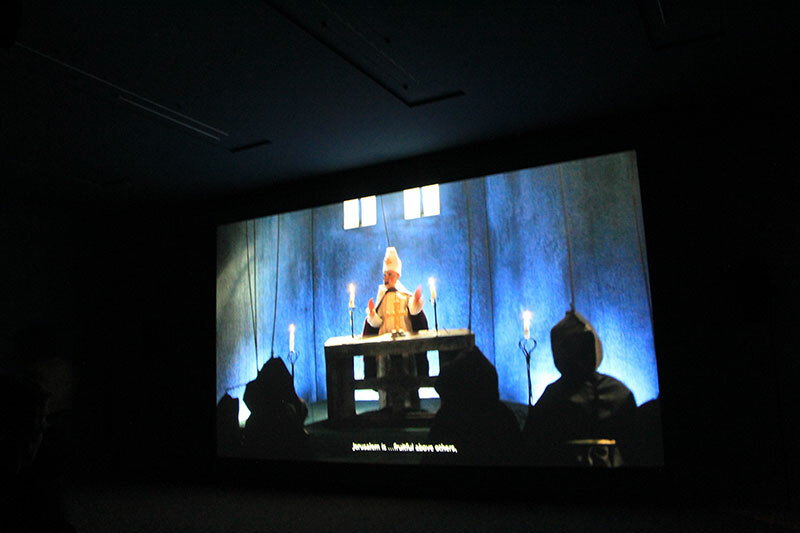 The puppets were made according to classic Provençal techniques, and the film was shot in the South of France in a Christian church, but the story being told is on an epic scale with episodes spanning from the end of the first crusade in 1099 to the start of the second almost 50 years later. The use of puppets in the chronicling of a history of violence, betrayal and intrigue makes the tales told here intimate and mysterious, but also keeps us at a distance. There is no attempt to create any illusion of realism or to hide the strings that manipulate the characters. 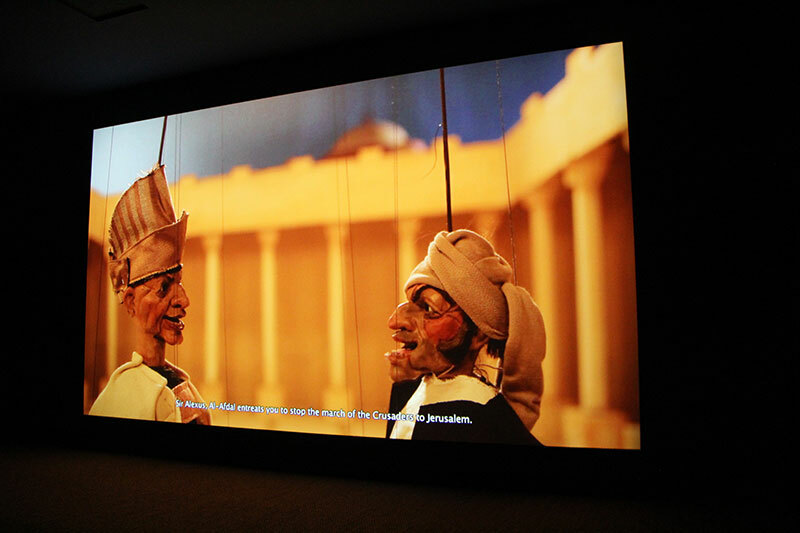 Rather, the web of strings refer back to the structural powers that manipulate history, beyond the control of individuals. 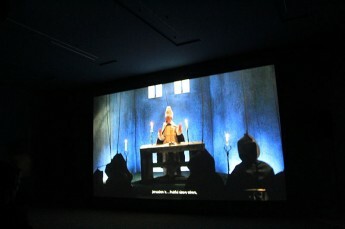 Princes, kings, clerics and military men strive for, gain and lose power in a seemingly endless cycle. But watching these power struggles from a time gone by brings us as much into the present as the past, and makes us reflect on how little has changed in the last 1,000 years.